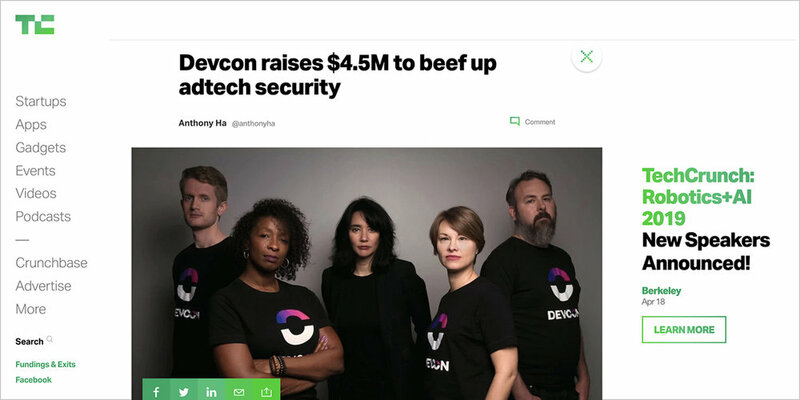 Adtech cybersecurity company Devcon announced today that it has raised $4.5 million in seed funding. In other words, Louie said Devcon works with ad networks and publishers to “eliminate 99 percent of the nefarious things that are making their way through the system.” It says it can block malicious ads on an individual basis, whether they include pop-ups and redirects or unauthorized tag injectors. Customers can then view the individually blocked ads and see where they came from, and there’s also a dashboard that shows how much money is being lost to fraud.